My husband and I have made these pretty frequently since we started our health kick. They are quick and easy breakfast to have before heading to work, especially since I can make a big batch and keep it in the fridge all week. We like to use plain yogurt and sweeten to taste with honey or chopped dates (after sitting overnight, the dates kind of melt into the yogurt!) 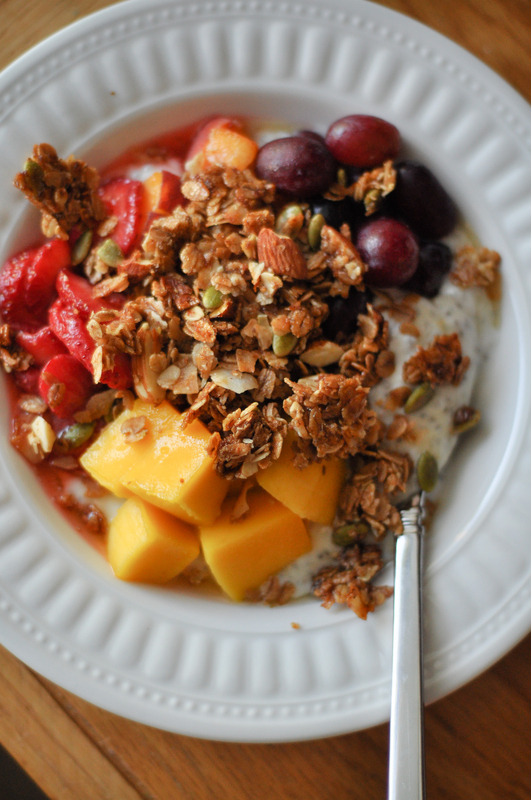 We also make our own granola (recipe to come!) 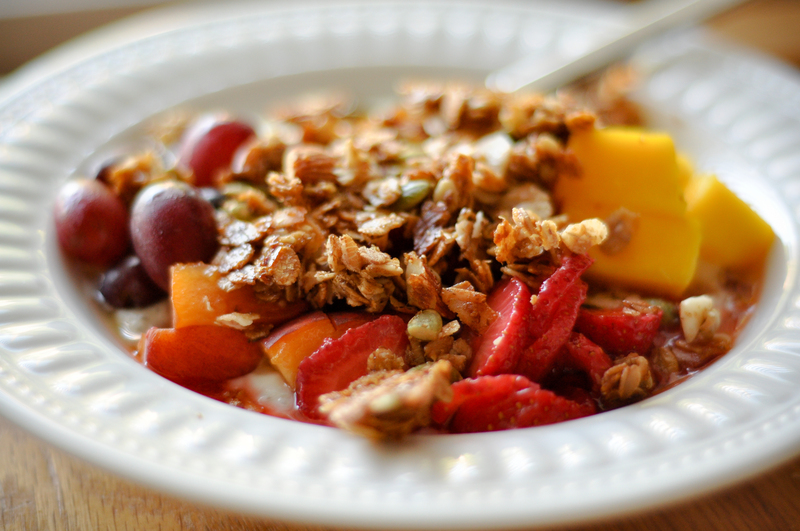 and keep it in a big jar on the counter for adding to breakfast bowls or frozen yogurt. Use whatever toppings you like! Other berries, a stir of almond butter, or a dash of cinnamon would be delicious! Stir together yogurt, milk, and chia seeds (and dates, if using). Cover and refrigerate for at least 30 minutes, but preferably overnight. 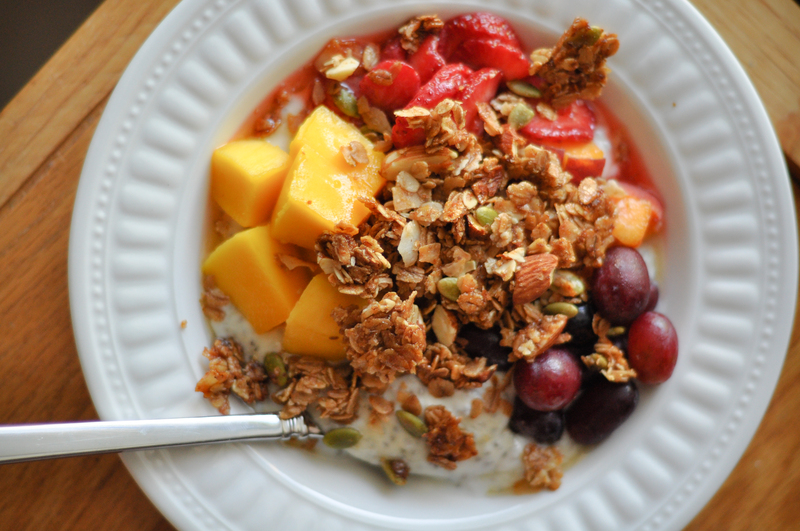 Scoop desired amount of chia yogurt into bowls and top with honey, fruit, and granola.